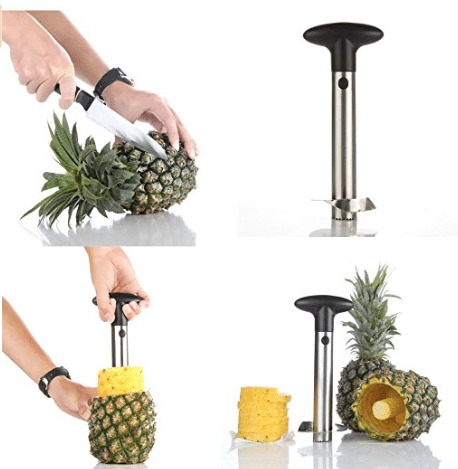 Pineapple 3-in-1 Stainless Steel Corer, Peeler and Slicer under $8 on Amazon- Game Changer! Game changer! 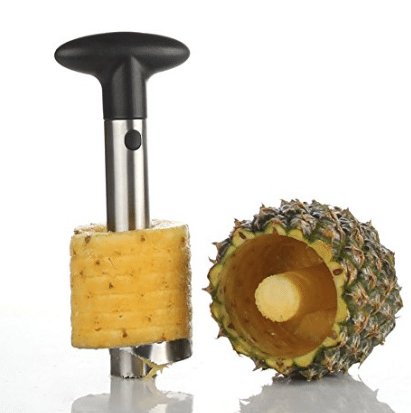 Check out this stainless steel pineapple corer on Amazon! I’ve seen these before and thought they just cored, but this actually peels and slices the pineapple too! I feel like I waste so much pineapple when I cut it myself. I love that it also keeps the shell intact so you can use it as a bowl for parties. How fun! I’ve seen these go for around $15, but Amazon has this very highly rated “Amazon’s Choice” Pineapple corer for just $7.99! This ships FREE for Prime members or with a $25 order for non-Prime members. Price is accurate at time of posting and could change at any time. We are a participant in the Amazon Services LLC Associates Program, an affiliate advertising program designed to provide a means for us to earn fees by linking to Amazon.com and affiliated sites. Interested in Amazon Prime? You can sign up for a FREE 30-day trial here. You can pay month by month at $12.99 a month or $99 a year.